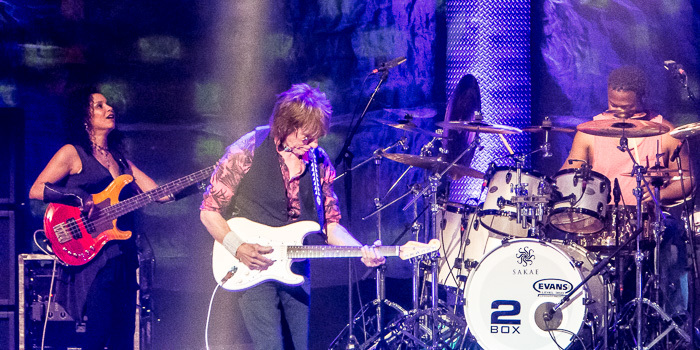 Legendary guitarist Jeff Beck came to the Masonic on Tuesday night, delivering an awe-inspiring set that showcased his incredible technique and playing style. Beck tore through the 18 song set, which was spilt between instrumentals and vocal driven songs. The vocals were handled by Jimmy Hall and Rosie Bones, who both brought distinctly soulful vibes to the songs they were featured on. While a good chunk of material was culled from Beck’s latest release “Loud Hailer,” there were still plenty of classic songs from the entirety of his 50+ year musical career. 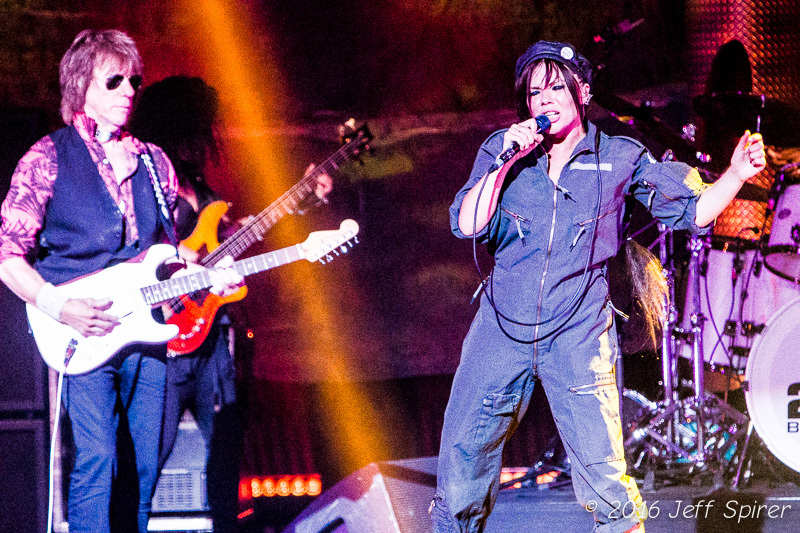 The backing band, comprised of Jonathan Joseph (drums), Carmen Vandenberg (guitar) and Rhonda Smith (bass), sounded tight and on point throughout, with each member managing to bring out the best in each other and in Beck. 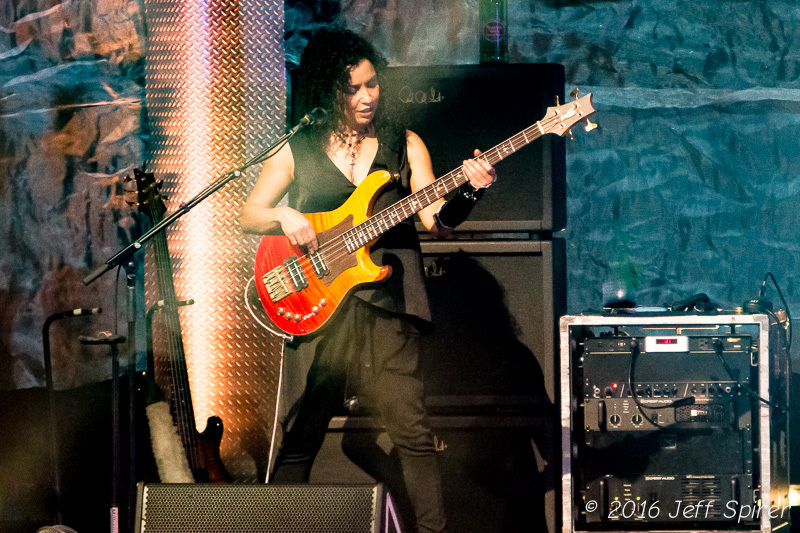 The band ripped through a couple of impressive instrumentals to open the show, each of which showcased the jaw dropping virtuosity of Jeff Beck. He has the almost supernatural ability to flip his playing style between aggressively loud passages and soft, serene melodies in the blink of an eye. 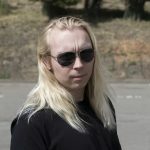 Throw in his unorthodox playing style that includes all types of sound and pitch manipulation and you have all the requirements for an incredibly exciting listening experience. Bones came on stage for the first time to blast through “Live in the Dark” from “Loud Hailer,” a song that trades off between soulful vocal lines and blistering guitar playing. It is in this type of format that Beck appears to be at his best: working in tandem with a singer seems to bring out a different sonic quality in his playing, and it really seems to inspire him to pull out all the stops. A few songs later Jimmy Hall made his first appearance to belt out the classic “Morning Dew,” a 60s staple as well as the Sam Cooke classic, “A Chance is Gonna Come,” which sounded particularly fiery as Hall gave an inspired performance, easily his best of the night. 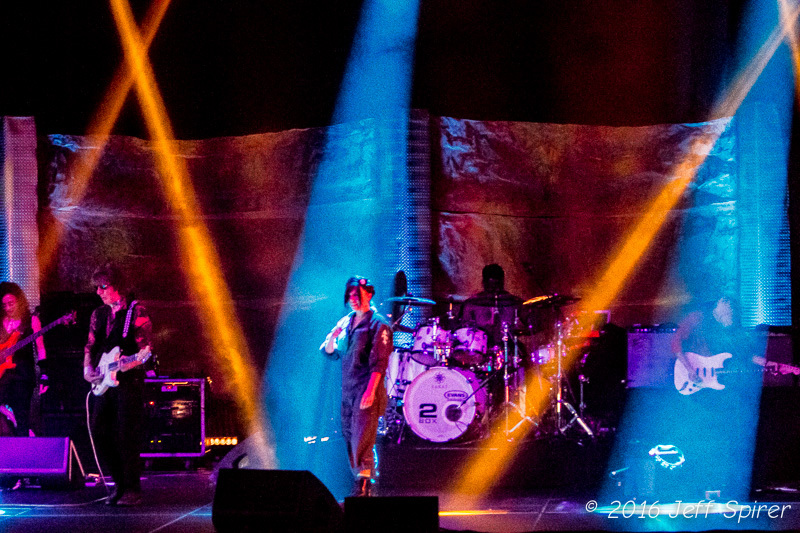 With so many classics to choose from it can be hard to pick out one standout song from the evening that produced so many, but one of them would certainly have to be Beck’s reading of the Stevie Wonder song “’Cuz We’ve Ended as Lovers.” The track originally appeared on Beck’s classic album “Blow by Blow” and sounded better than ever on the live stage. The song starts out with a calm, mournful melody, only to increase in intensity throughout before settling back down to finish. There is probably no better song to showcase the impeccable talents of Jeff Beck as a guitarist; he has this seemingly mythical ability to transcend normal musical boundaries and create something totally unique. Throughout the song his playing stands out for its vocal like quality, managing to take the original vocal line and turn it into one incredible guitar figure. The band continued to work their way through a strong set of material before closing out the show with another trademark cover: a sublime version of the Beatles classic “A Day in the Life.” The song begins with a magnificent guitar melody as it snakes through the verse, only to be ripped open by a heavy metal-esque breakdown, only to return to a calm and bluesy melody for the song’s outro. For someone who has been in the music industry for so long it is incredibly impressive that Jeff Beck still maintains such a high level of passion for playing music, and this was clearly on display throughout the evening. This made for one memorable show which managed to push all the right buttons to keep the audience engrossed for every single second. 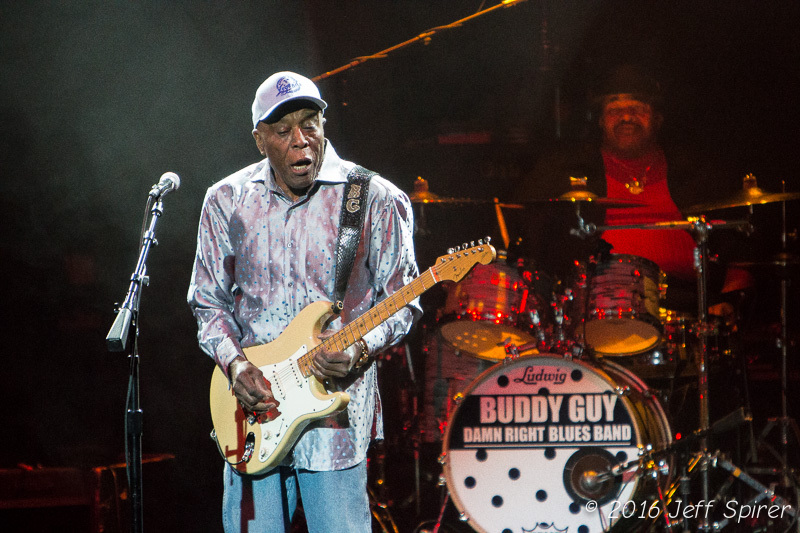 Blues legend Buddy Guy opened up the show with a furious set of songs that demonstrated his utter mastery of the guitar. His set was free flowing, as he admitted half way through he doesn’t play to a setlist, and that added a certain element of surprise to his show. There was a lot of looseness and fun emanating not only from Guy but his tremendous backing band as well. Songs would veer off into epic length guitar solos, only to immediately quiet down to a slow shuffle. One major highlight was when Guy asked his friend Carlos Santana to come on stage to play with him. What transpired next with the stuff of legend – Santana and Guy trading off licks and solos, each one trying to be more daring and more exciting than the previous. 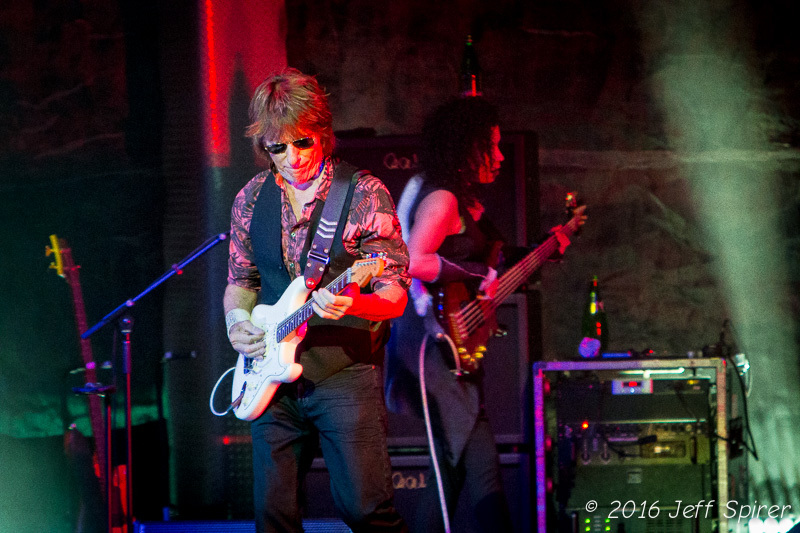 For more information about Jeff Beck, see his website. Find out more about Buddy Guy here.